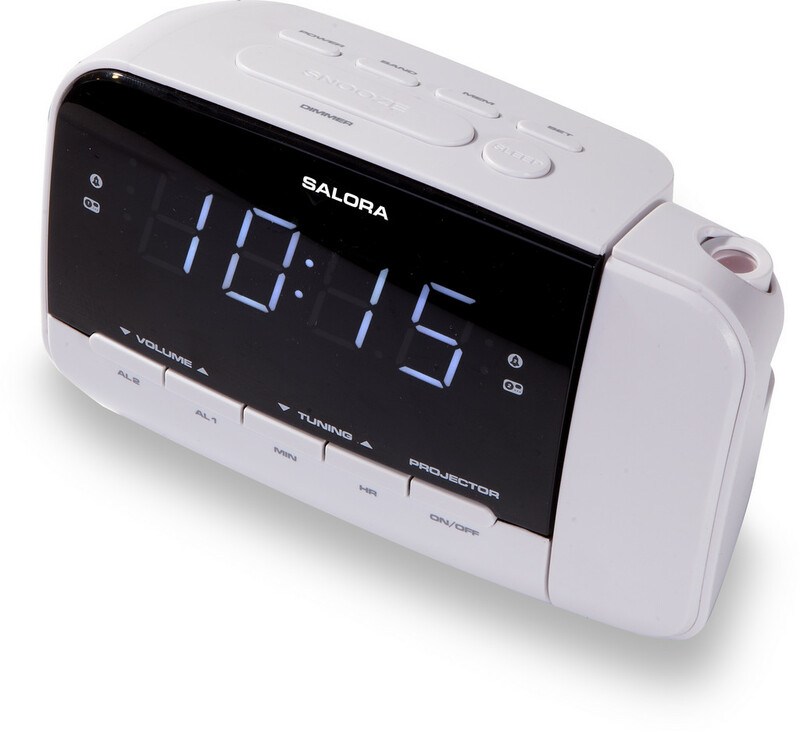 Saloran CR618P kelloradio 0,9" näytöllä, AM/FM-radiolla ja projektorilla. 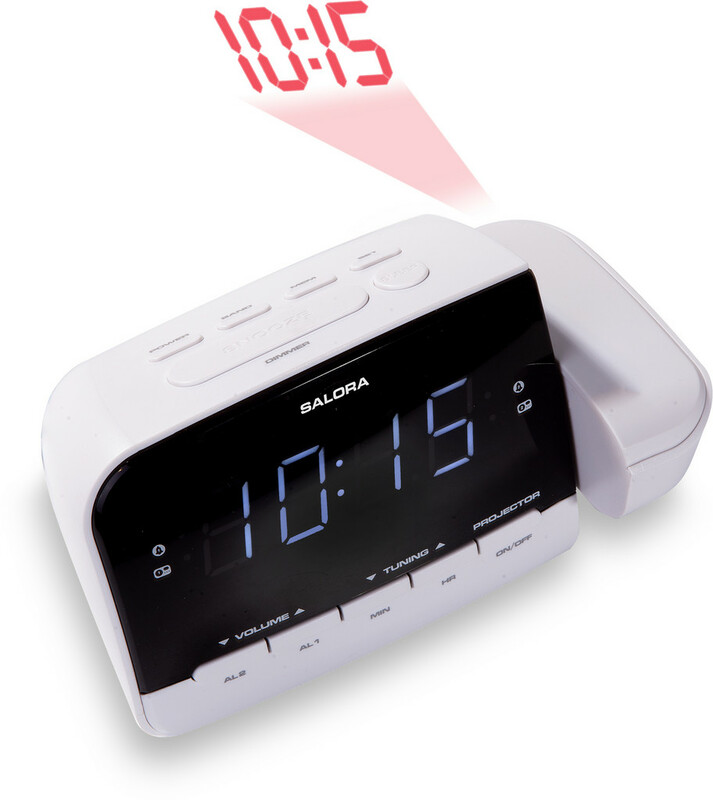 A digital AM/FM clock radio with snooze and sleep function and a 0.9? (2.3CM) display, dual alarm and backup by battery (not included). With the build in projection function it is possible to project the time on the wall or ceiling.